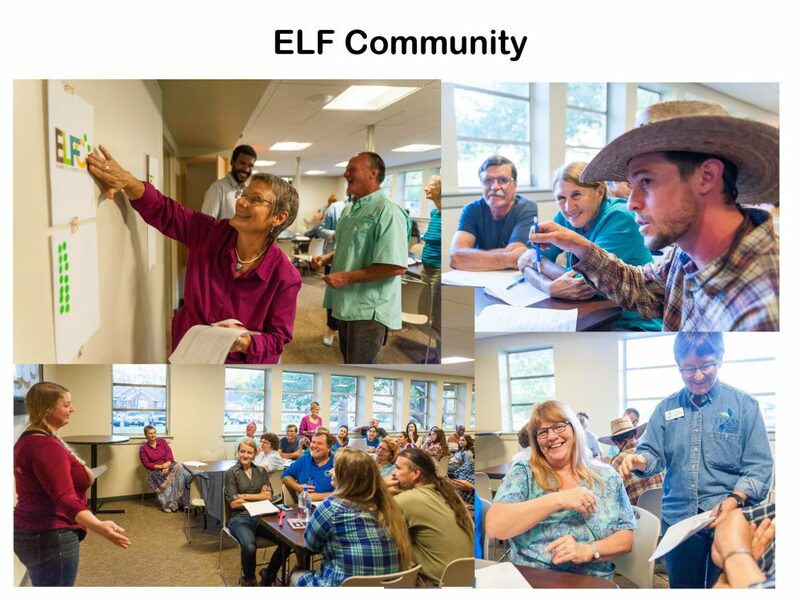 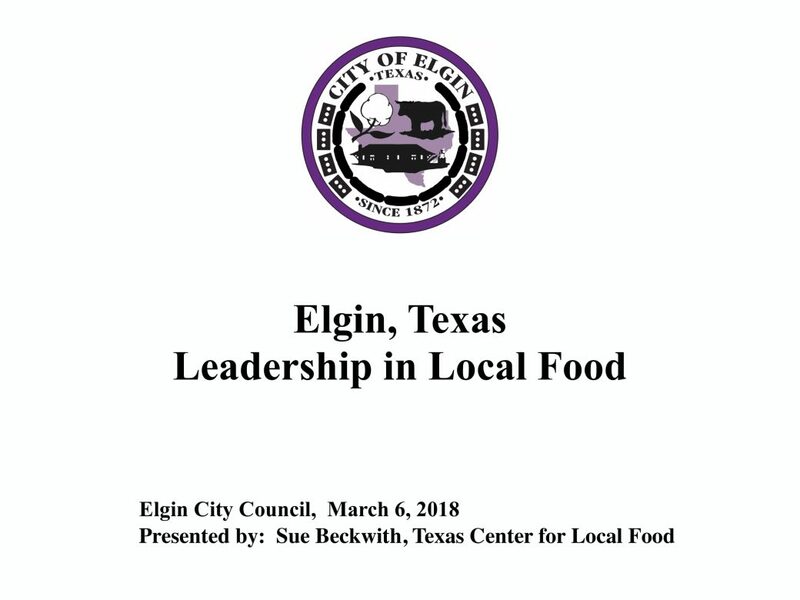 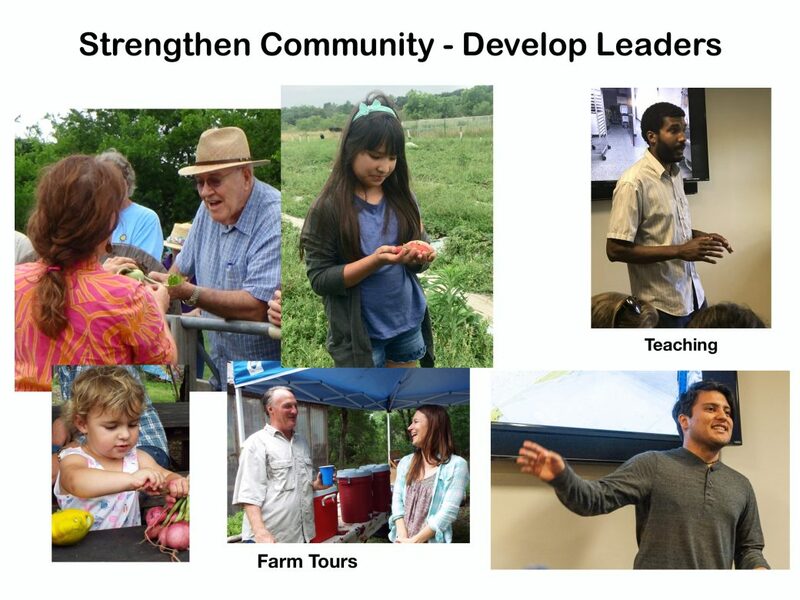 This presentation discusses the accomplishments of the TCLF and City of Elgin partnership and touches on how to develop local leaders from community members. 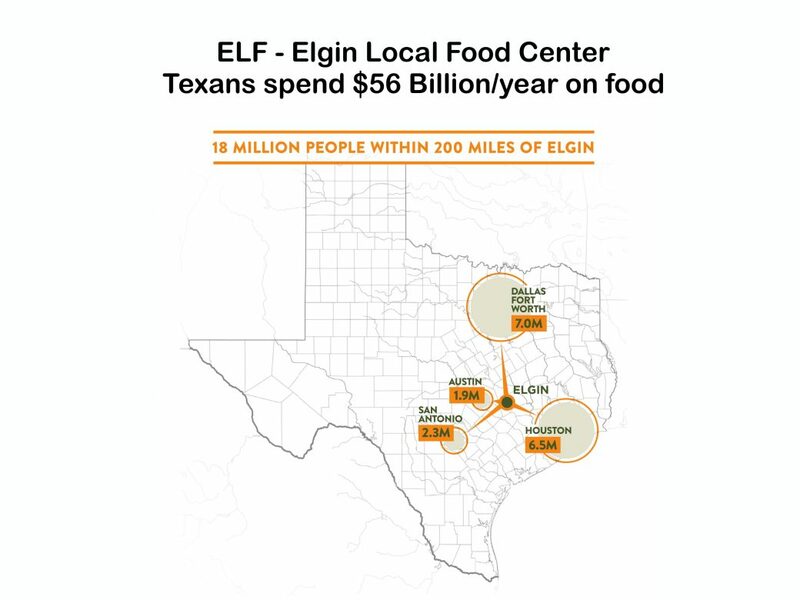 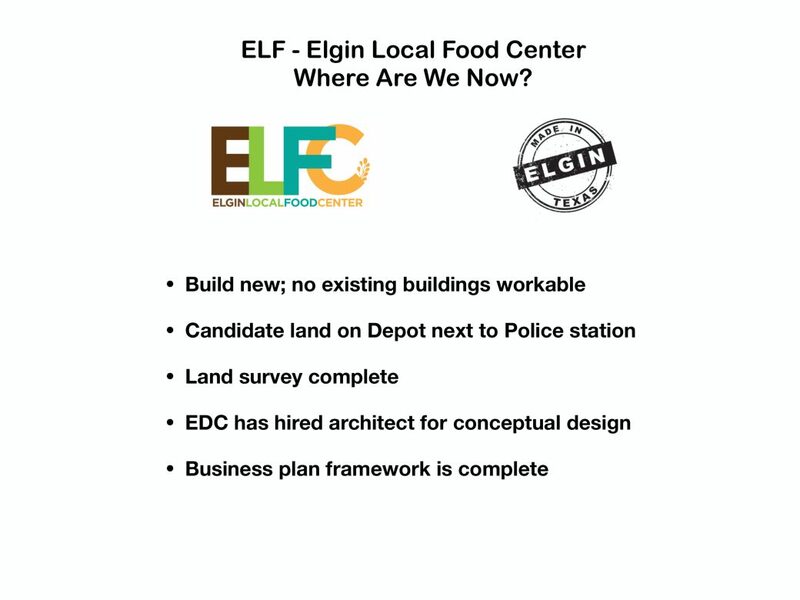 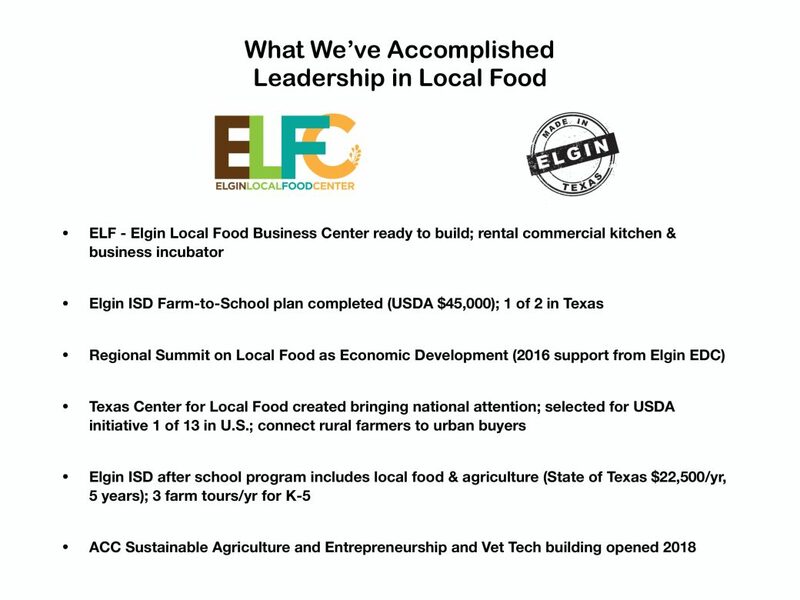 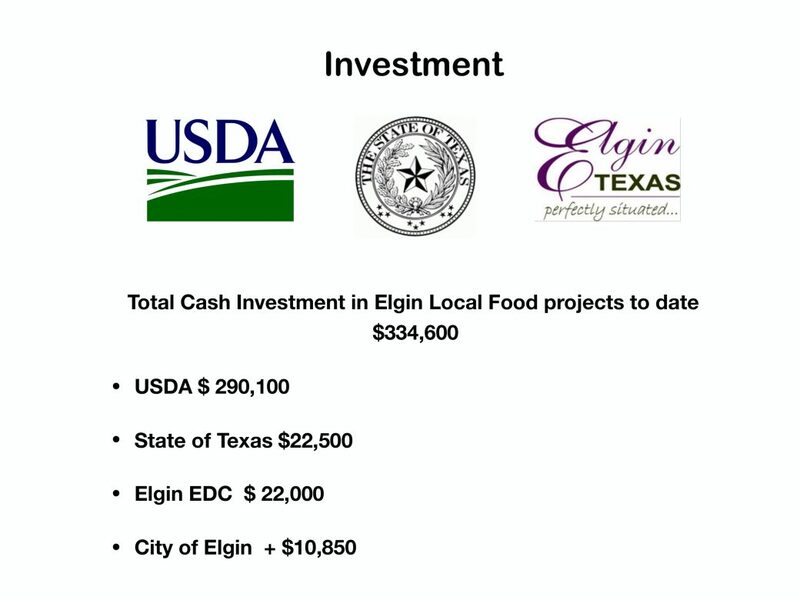 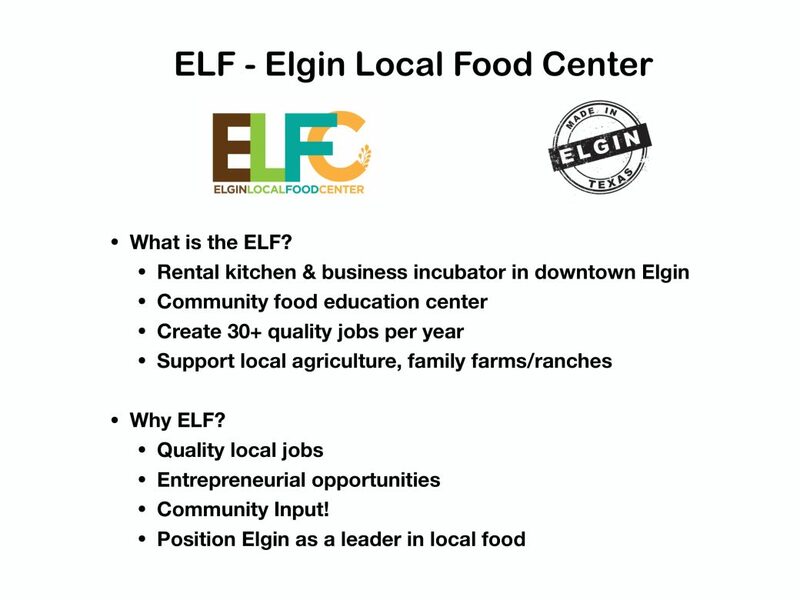 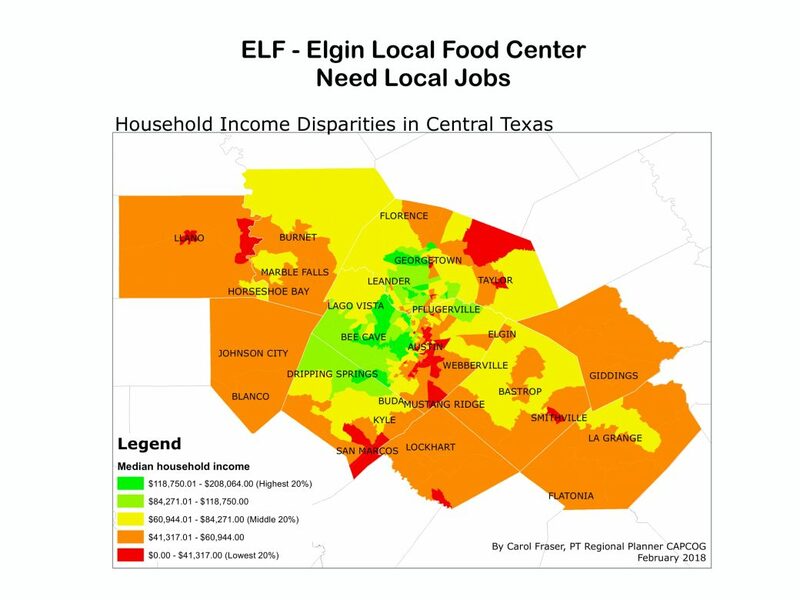 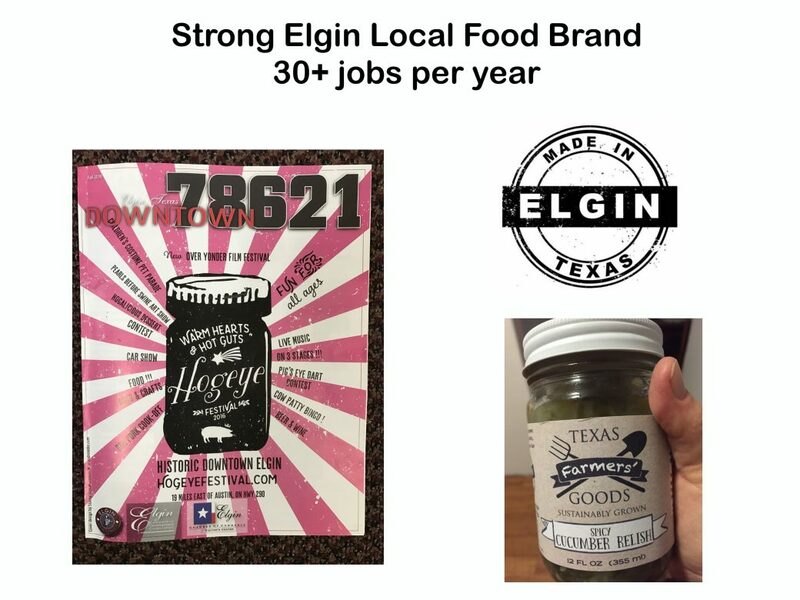 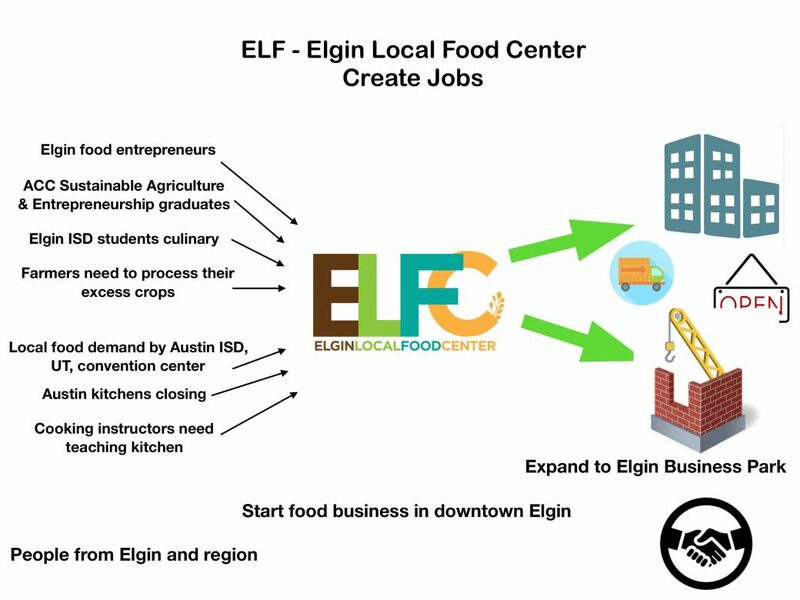 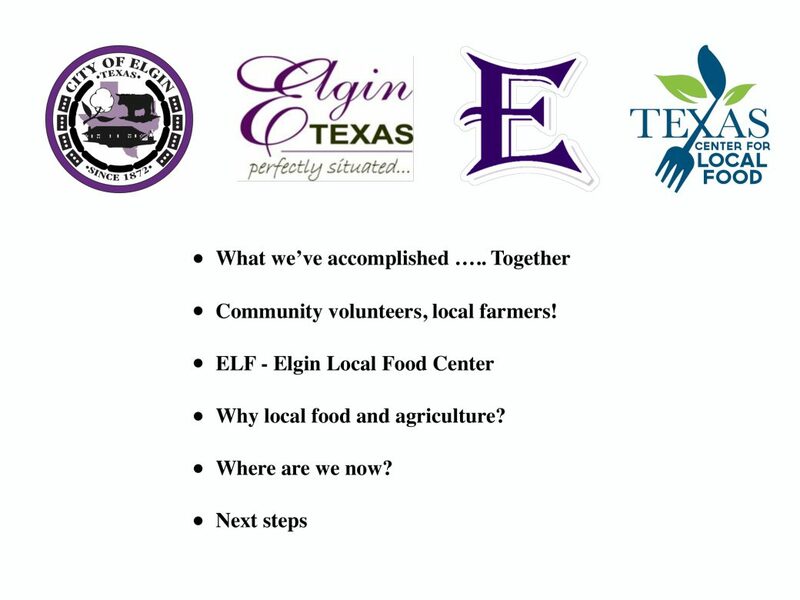 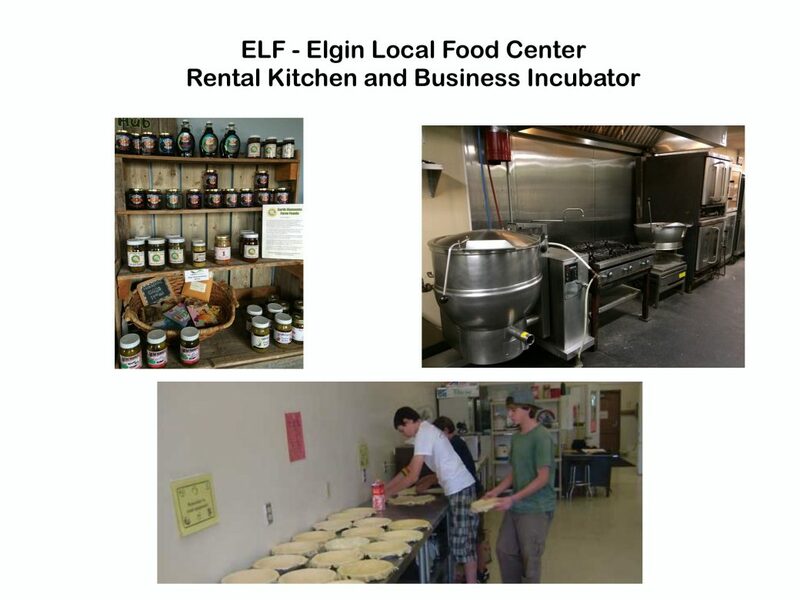 The presentation also discusses the Elgin Local Food Center (ELF) a proposed rental commercial kitchen and business incubator. 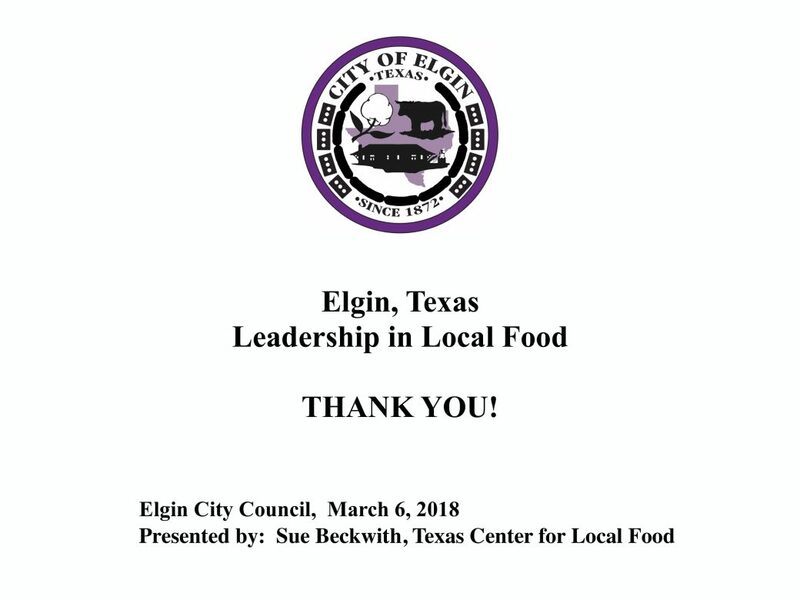 Presentation delivered to the Elgin City Council.